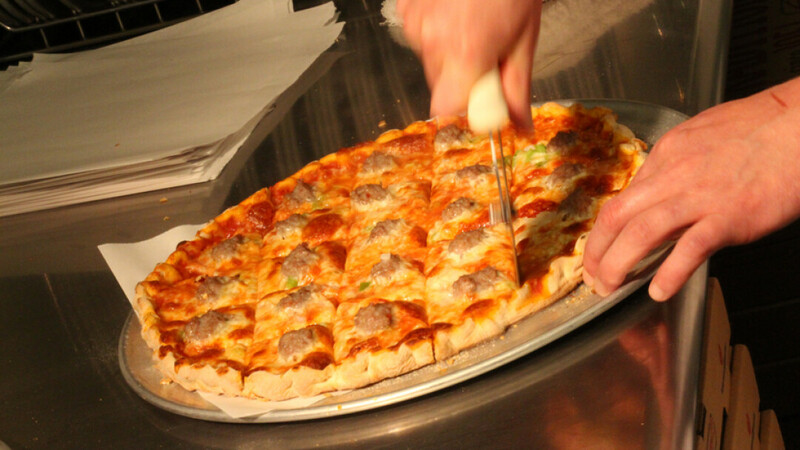 With a family-style pizza place up front complete with cool diner furniture and a full-scale bar in the back, Sammy’s is great for lunch, dinner, or a night out. Bring your friends for the House Special – pepperoni, hamburger, kosher salami, sausage, mushrooms, onion, and green pepper – or check out the broasted chicken. Weekday lunch buffet, private party room, vegetarian friendly, order late on Friday and Saturday nights, and Team Trivia on Tuesdays. This massive establishment is one-half eatery and one-half bar, known best for its 11 Wisconsin beers on tap and pizza (which is served late on weekends). You'll find live music on some Saturdays, an everyday happy hour (4:30-6:30pm), darts (with leagues), and a party room that can hold about 50.